NHTSA has just released the result of its crash testing procedures for the Tesla Model 3 rear-wheel drive sedan. If you’ve read our extensive report on the safety advantages of electric cars (which is free), the news should include no surprises. The Model 3 earned 5 star ratings in all categories and sub-categories. But wait. Don’t all cars ace the NHTSA crash tests? No, actually, they do not. Several well known brands fall short in some areas. We’ll tell you more about that in a moment. First, here’s a video of the Model 3 being walloped, whacked, and wailed on by the automotive torture devices NHTSA uses to carry out its tests. What Tests Does NHTSA Do? Some of you may be a little hazy about exactly how NHTSA tests cars for crashworthiness. If so, please visit the NHTSA website to learn more about the testing protocols. Keep in mind that the Insurance Institute for Highway Safety also conducts crash tests, which differ slightly from the NHTSA tests. IIHS includes a partial offset frontal collision test that simulates what happens when two cars going in opposite directions crash left front corner to left front corner. The NHTSA tests awards up to 5 stars in three basic categories and several sub-categories. The Tesla Model 3 earned 5 star ratings in all. For comparison sake, the Mercedes C-Class 4 door sedan with rear-wheel drive, which is similar in size and weight to the Model 3, gets only 4 stars for front passenger protection and rollover protection. The BMW 3 Series 4-wheel-drive rear-wheel-drive sedan gets only a 4 star rating for driver protection. The NHTSA website makes it easy to search for result for any car sold in the US. Although, all models from all manufacturers are not crash tested for each model year. Tesla CEO Elon Musk has indicated that he thinks the Model 3 could end up being the safest car ever tested by the NHTSA. The thing is, we don’t get have the full stats from the NHTSA — we just know it got 5 stars in every category. He also indicated that Tesla would publish an article explaining the physics behind electric cars’ inherent safety advantages. The short summary: While side impacts and rollovers are scary, the most common automobile collision involves the front of a vehicle. Since electric cars by definition have no big lump of an internal combustion engine in front, design engineers have more latitude to devise more robust energy absorbing structures for electric cars than they ever could for conventional cars. Electric cars designed well, like Tesla’s are, also have a low and balanced center of gravity because the battery, which is the heaviest component of the car, is mounted low in the chassis just inches above the road. That means getting one to roll over is virtually impossible. The Model 3s big brothers — the Model S sedan and Model X SUV — have also earned 5 star ratings in all categories and sub-categories, making Tesla the only manufacturer in the world with 5 star ratings for every car it makes. Back in 2013, the Model S was actually awarded 5.4 stars by NHTSA (not publicly, but Tesla leaked the info and was reprimanded a bit for it), which forced the agency to revise its testing standards to reflect the fact that Teslas were better built than ordinary cars. Yeah, they’re kind of expensive, and yeah, some owners are dissatisfied with the service they get, but if it’s your family, which car do you want them riding in — a Tesla … or something that’s almost as good as a Tesla? 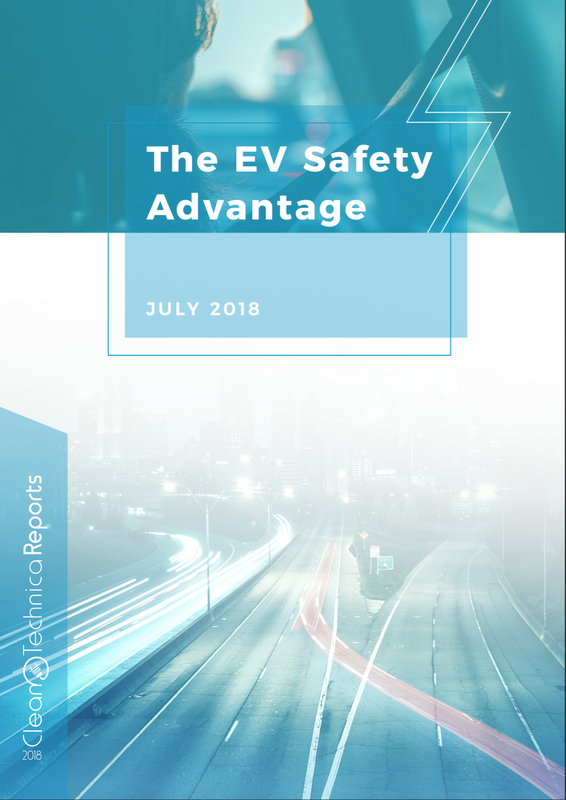 Again, our report The EV Safety Advantage goes into much more depth about the safety of electric cars and the stats that back up the claims. We encourage all of you to download it, read it, pass it along to friends and family members, pin it to your workplace bulletin board, and email it to automakers asking them if they care about your safety and will start producing only 5 star electric cars.